iBooks lets you lose yourself in a good story from the comfort of your iPhone, iPad, or iPod touch. You’ll find classics, bestsellers, up-and-coming authors, and even audiobooks—ready to download and enjoy. • Explore a vast collection of books from all categories, and for all ages and reading levels. • Browse our Featured books to find the best and buzziest new releases, perennial bestsellers, and curated collections. • Preview Books while you browse, and download free samples—sometimes before they’re available anywhere else. • Find beautifully illustrated and interactive books, including kids’ picture books, art and photography books, cookbooks, and more. • Check out our Top Charts to see what’s popular with other readers. • Select the perfect audiobook and have your story read to you, or take it on the road and listen through CarPlay. • Choose from eight attractive fonts and four easy-to-read page colors. • Add bookmarks and notes, and highlight your favorite passages. • Find a word, character, or phrase anywhere in your book with built-in search. • Turn on Auto-Night Theme to make reading more comfortable on your eyes. • Adjust your screen brightness to find the perfect lighting for any environment. • Move continuously through books instead of flipping pages by enabling Scroll view. 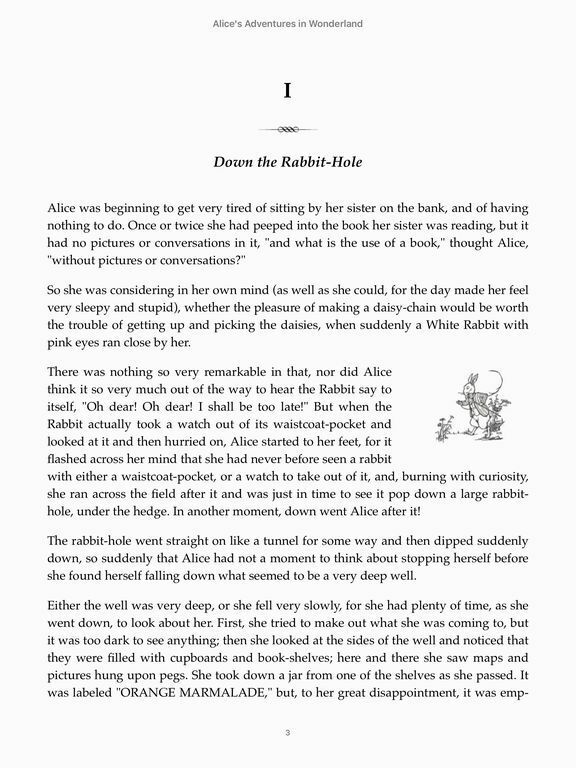 • Hear the words on a page spoken when using iBooks with the accessibility features in iPad, iPhone, and iPod touch. • Print PDF documents and notes you've written on iBooks using AirPrint. • Share quotes or thoughts about your favorite books with friends on Facebook, Twitter, Messages, orMail. 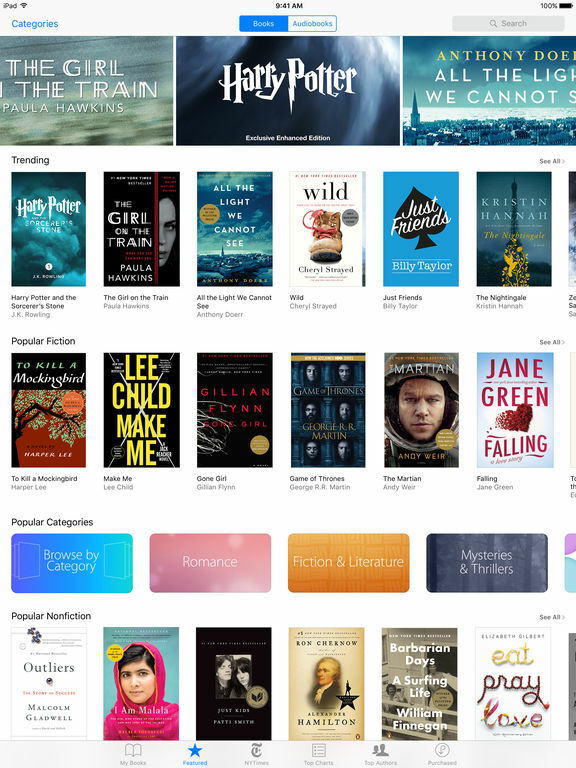 • Access any of the books you purchase from iBooks on all your devices. • Share your book and audiobook purchases with family members using Family Sharing. • Organize your books and PDFs into personal Collections that’ll appear on all your devices. • Access bookmarks, highlights, notes, and your current page on all of your devices. • Open content is published in the ePub and PDF formats. • Add ePub and PDF documents to iTunes and sync them to iPad, iPhone, or iPod touch. • The iBooks Store is available in many countries. The selection of available books varies by country. 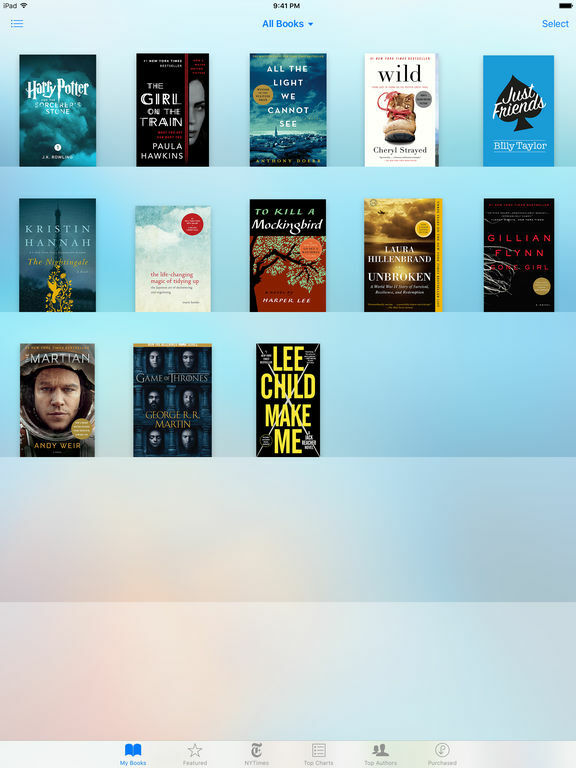 • Downloading content from iBooks or iCloud requires an Apple ID and Internet access. • Adding books and PDFs from outside the iBooks Store to iBooks requires they be DRM-free. • Some PDF documents may not be compatible with iBooks.